TOSS Telangana State Open School Society issued SSC and Intermediate Examination March/April 2017 . These examinations held as per schedule. TS Open School Society (TOSS) Conducted successfully Inter and SSC Public Examinations, October 2017.The Candidates who were appeared for the TOSS Inter and SSC Examinations, October 2017 , they are waiting for their results. 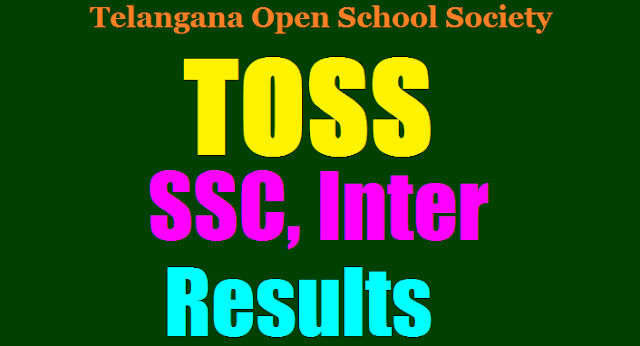 Telangana State Open School Society TOSS Board officials to be release the Open school SSC ,Inter Exams results on Last weeek of October 2017 and these results are available on its official website http://interresults.telanganaopenschool.org and http://sscresults.telanganaopenschool.org/. Candidates can Check their results from here.Telangana State Open School Society TOSS Open school SSC, Inter Exams results Released available here.